SNOA ---> Tiny name but with some upside potential!! It is trading under a very healthy Money Flow and Accumulation!! 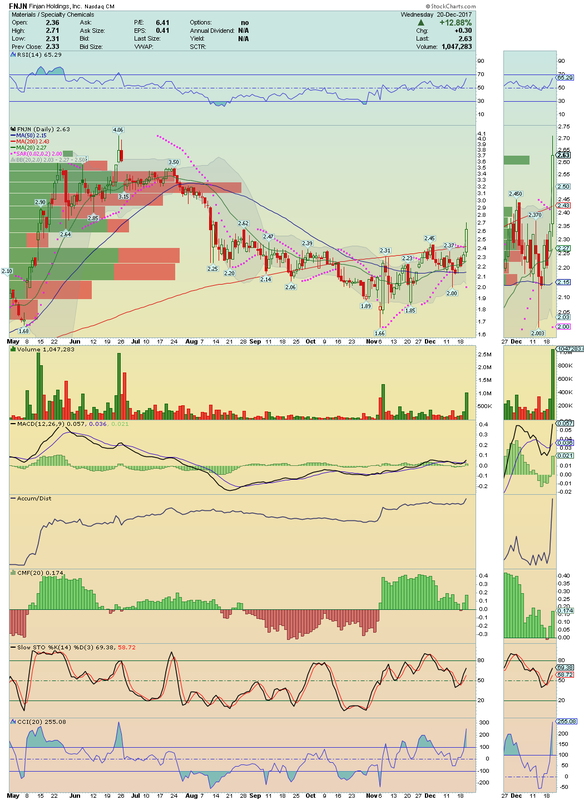 Also, is a very Low Float Stock and is about to Breakout! If it get volume, we may have a nice run until $6.00. ELTK ---> Another Low Float Stock, under strong Momentum. Shares rose more than 24% on strong volume going to close near of High of the Day. I believe that is only on the beginning. I´ll not surprised that we hit $5.80 today. 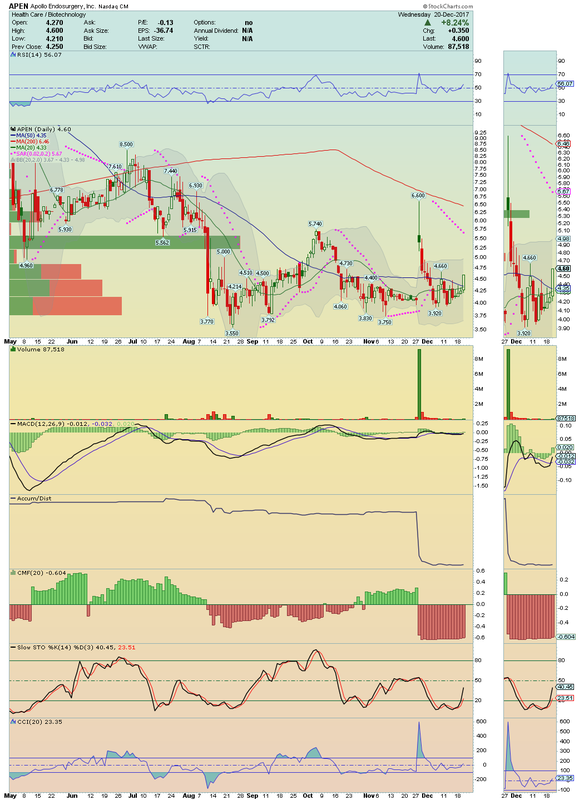 FNJN ---> This is a great bullish chart that i alerted yesterday on Twitter when it was breaking out! I remained long and strong on this one! Accumulation and Buying Pressure is very strong as well the Money Flow! Buyers are in control and a squeeze until $3.50 is a truly possibility. Go long over $2.71. MYO ---> Second day in a row in my Blog and ready for a Big Explosion. With 3.37 Millions of Shares Float, a break above its 50 Moving Average on volume could be a Madness. Expect to see $5.00´s very very soon. FLGT ---> Another stock that deserve to be here, in my Blog, for the second day in a row too. Chart speaks for itself! 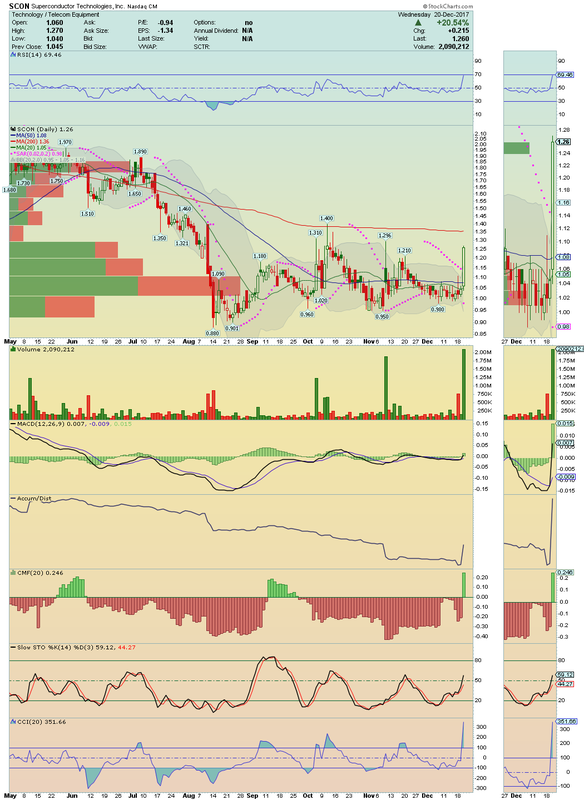 It confirmed the breakout with strong Buying Pressure, Accumulation and Volume. Money Flow is very healthy too. I think that north is the way! Go long over $4.47. SCON ---> Made a powerful trade session on heavy volume, going to close near of High of the Day. I´ll be watching now for a break above its 200 Moving Average. 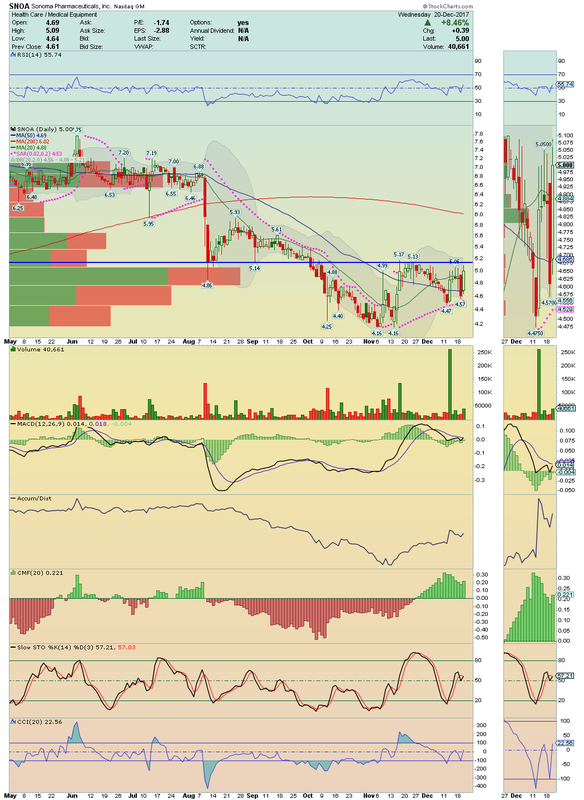 It could rocket easily till $1.80´s. 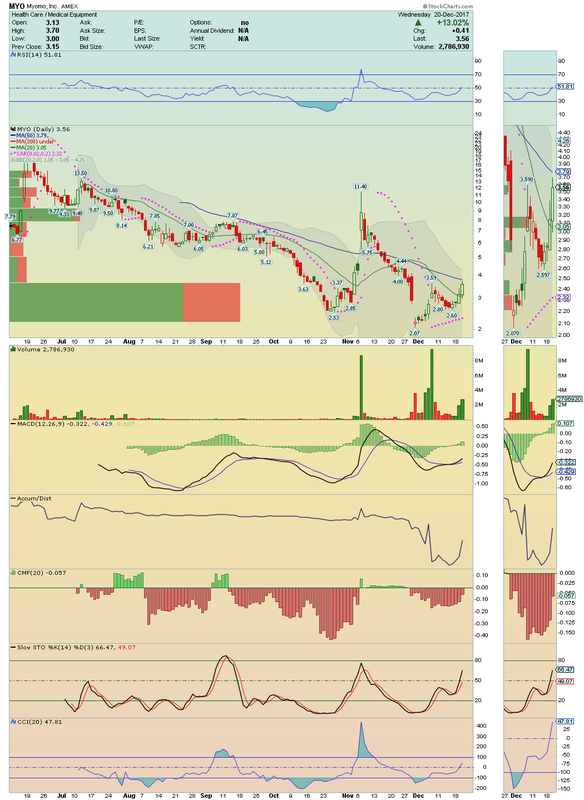 APEN ---> It could be on the verge of a strong Breakout. Low Float Stock receiving strong Buy Signals by MACD and RSI. Could give us a nice trade session. Go long over $4.66. 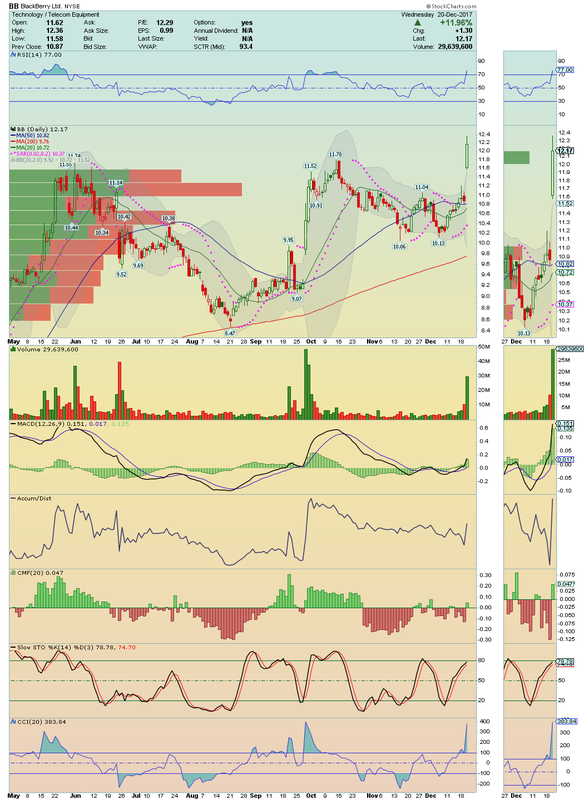 BB ---> Looks poised for news Highs.